Are wireless carriers being less ‘instant’ about providing customer refunds? Few holidays in the western world are celebrated without the accompanying assault from the retail sector going into overdrive. In the United States, the Friday after Thanksgiving earned the label “Black Friday” years back, when it traditionally (ostensibly?) became the day upon which hard-pressed retailers would finally get back into the black with record sales. Truth is, Black Friday is not the highest sales day of the year, that’s typically the Saturday before Christmas Day. And there’s some evidence that the prices on offer, which draw crowds in-store like some kind of retailing “Haj”, are not quite the bargains we might think they are. But the point that caught my eye in a recent story in Smartmoney (What You Give Up For The Right Of Return, October 26) is a change in attitude from retailers towards that untouchable icon of American retailing, the no-questions-asked refund. 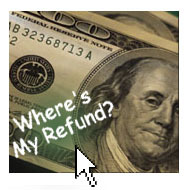 Retailers, it seems, are taking a more circumspect approach to the art of the refund. In addition to proof of purchase, retailers are requiring customers to provide independent identification and present the card used for the original purchase. Some of this helps retailers get something back for losing the sale – customer information, marketing data, that kind of thing. Some of it is also to do with putting small points of resistance into the refund process, which in the past was pretty much a free ride for the consumer. American retailers are esimated to have lost $9.6Bn in so-called fraudulent returns last year. Returning on-line purchases is inherently more problematic, there’s no store to walk into to get your money back. I mistakenly clicked “2 copies” for a book I wanted from Amazon earlier this year. They would gladly take the return of the unwanted second copy – subject to me accepting a processing charge. In a business like Bango, we incorporate a large number of carrier payment services, enhance these so that they are very easy for merchants to leverage as a payment method, and provide a single point of integration to what is rapidly becoming one of the world’s largest on-line payments network. The variation in approach to refund management across the payment processing routes we enable is remarkable. The credit card model is the one mainstream merchants are most familiar with. It’s a model built around scale, and to achieve scale the responsibility for customer care – including refunds – principally lies with the merchant. You cannot instantly get your money back just by complaining to the card company. The approach to refunds adopted by wireless carriers is highly variable. In the United States, carriers are generous with consumer refunds. Much more so than any other geography – more than nearest neighbor Canada. The explanation for this generous refund attitude is entirely rationale – why place a $200 a month customer account at risk by arguing over a 5 buck refund? What isn’t clear is whether carriers are following the lead from the main shopping mall retailers in being less “instant” about providing customer refunds. Are they capturing data on repeat refunders – those the mall retailers suspect of acting fraudulently – and treating these differently? Even adopting the card company approach – that the customer must first speak to the merchant and only then, if not satisfied, ask the carrier for support – would bring mobile payment processing into line with the industry norm and require customers to think more about the responsibilities of committing to a purchase. At Bango we know that the frenzy of Black Friday can lead to a far more sober blue Monday. Customers, caught up in it all, who made injudicious purchases will ask for their money back. Whatever the in-store mayhem of a Black Friday, we do not believe blue Monday should therefore necessarily be a refunds free-for-all. In our industry we want mobile commerce to be frictionless and ubiquitous, but we also want customers to take responsibility for their purchase behavior. Time to talk turkey. This entry was posted in Mobile commerce, Mobile payments and tagged mobile commerce, Mobile refunds, Refunds, Thanksgiving, Wireless carrier. Bookmark the permalink.